So The Consul likes to remember the best debut albums. But what about the bands that fulfilled the “Third Times a Charm” rule? 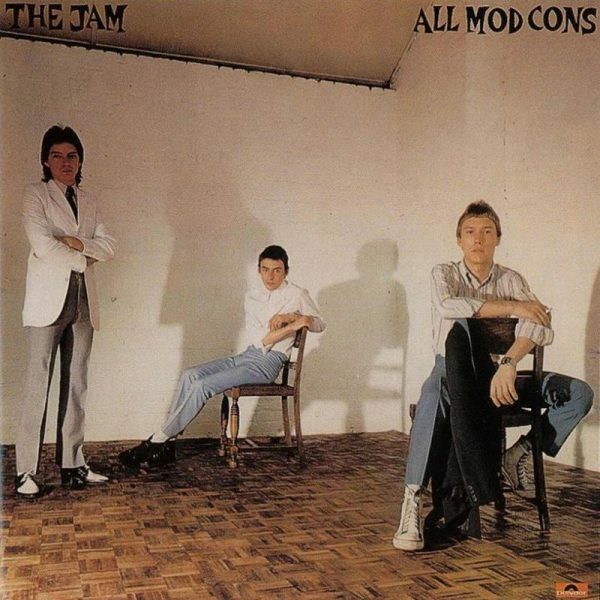 The first band that comes to mind is The Jam: Paul Weller, Bruce Foxton, and Rick Buckler. These had to be the best live three piece new wave band out there – when so many other bands were four or more members, The Jam really commanded the stage – all exceptional musicians with Weller’s incredible song writing talents made for an incredible live gig. There debut album, “In the City”, with great songs like “Away from the Numbers”, “I Got by in Time”, and the title track was a fine album. Their second album, “This is The Modern World”, was ok, but it wasn’t until their third album that they really hit their stride. “All Mod Cons”, which at the time was a change of direction for The Jam, for me easily was their best album. It had many great tracks, but ended with the single that I still consider their finest moment: “Down in the Tube Station at Midnight.” An amazing, haunting song, that still makes me shiver when I hear the words: “’cause they took the keys and she’ll think its me”. Seeing them live with all their talents, one of the things I clearly remember was the limited vocabulary of bassist Bruce Foxton – at a gig I saw in Brighton, all he said repeatedly all night was: “Cheers, Ta.” Even so, it was still an amazing evening!